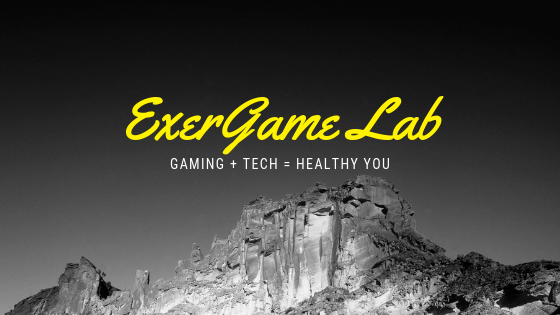 If there's one place where exergaming is definitely a good alternative to just sitting, its in a fast-food restaurant. 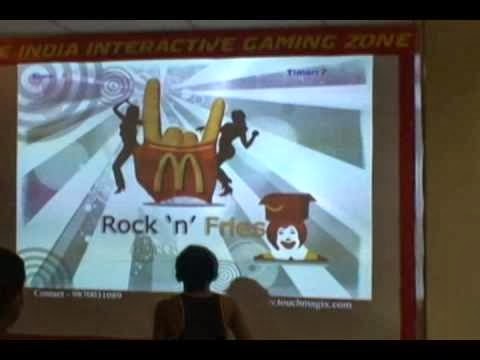 Using a TouchMagix Interactive Wall (Full Disclosure: I am on Advisory Board Member to Exergame Fitness/Motion Fitness), content was specifically created for a McDonald's in India. From Rock 'N Fries, to Enjoy Party with a Coke, players need to move their Rockin' Ronnie to collect the falling objects (on screen). I'm not one to advocate going to a fast-food restaurant and supporting food advertising to children, but if a parent has already brought you there to eat..... as long as you're there...you might as well get a little more activity. Looking at the videos, it appears that the players are really close to the screen and I'm wondering if the sensor could be placed further back so that they won't have to have their neck/head in the extended position looking up the wall to see the objects.